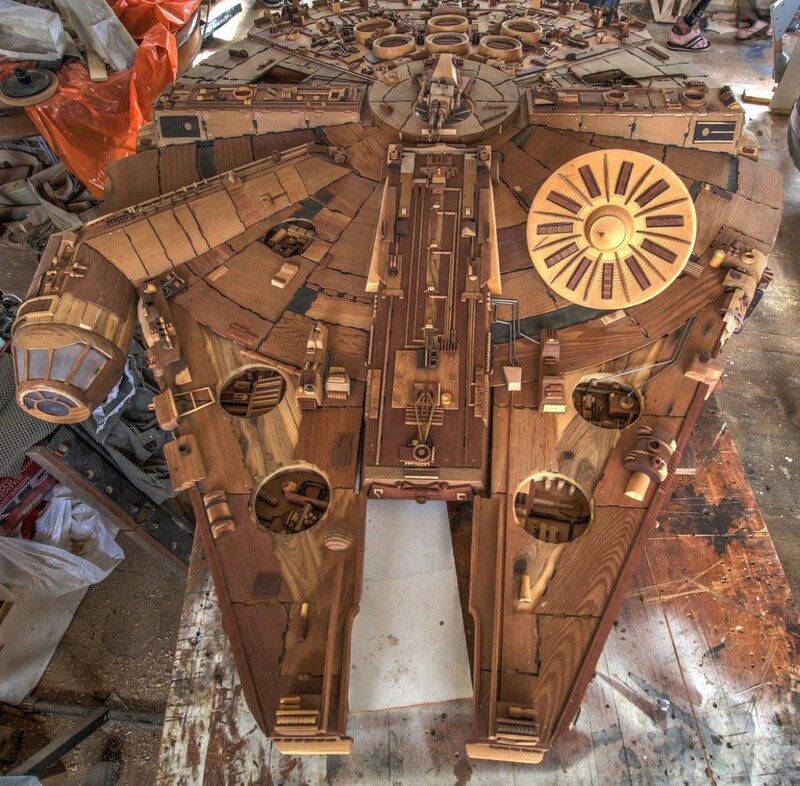 Check out this epic hand crafted wooden Millennium Falcon. This thing is 6-foot-long and every inch of it is amazingly detailed. 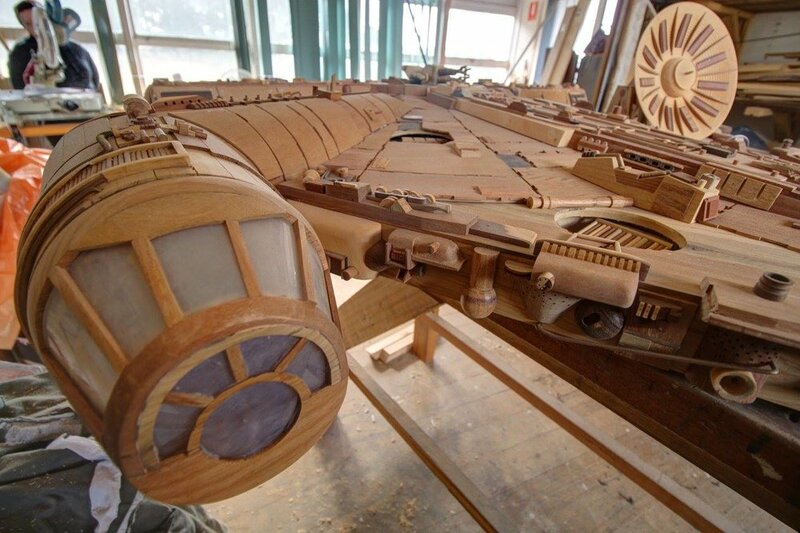 The iconic Star Wars ship was made by artist Martin Creaney and was made from 3,000 individually cut pieces of timber. I wish I had the time and skill to do something like this. You can check out a few new photo below along with a video. Let us know what you think.